"The Swiss army knife of marketing software that can handle every job you need done!" "Hubspot is the most robust and versatile CRM around"
"your company's growth is firm"
The platform I like its incorporation is incredible and offers a number of features that are not to be missed, its marketing tools, technical support services, are key to managing the market and promote your company, and each tool is in one place , I am learning a lot with this application. I do not understand coding is sometimes confusing, on the other hand I highlight its qualities, it has tons of resources that prepare me and take me to success, it has helped the company to achieve its goals and continues to grow, with the help of Hubspost., I find it a robust feature software. It can be a bit confusing if you do not have coding knowledge, but your customer service is very responsive, they will always help you. Its price may seem altp but just in terms of its functions, is based on the cloud and other systems in general is 80% recommended if it is worth it. Your personalized panel streamlines my work, the support is always ready to respond to any eventuality and you follow up your concern through an email, this has been very helpful as the days go by, we are more practical, the flow tools of work are easy, however sometimes they update and play catch-up. Setting up templates & sequences. Saves a lot of time when sending emails to prospects. Pretty easy to set-up. I like the email tracking & logging - I can see exactly who received, opened and clicked on links in my outgoing emails. I wish you could create folders within folders in templates. I have a folder in my name. I would like to be able to create sub-folders to organize my templates by type/subject/stage/etc. I find it difficult to make all my calls out of Hubspot - not easy to see who I've called & who I still need to call. Cannot easily find all calls by next step/call date. Email signatures - it doesn't let you change the font, so it doesn't match the body of the email. I cannot put our company logo w/link to the website. For that reason alone I do not email out of Hubspot. "Best CRM I have used"
"Powerful, free CRM integrates beautifully with Gmail"
My favorite feature of Hubspot CRM is the activity timeline for each client. I can easily see all my interactions with a contact, client, or lead, including emails; I can add notes; I can track the progress of the deal (Hubspot also automates some of this based on an algorithm); and more. The activity feed can be invoked from within Gmail (or Outlook or G Suite or any supported email client). The Hubspot Chrome extension also tracks email opens and clicked links. Most similar extensions require a paid upgrade to track clicks. The fact that this is free forever astonishes me! Some of the jargon is obscure at first. There are so many features in the Dashboard it's quite difficult to keep an overview in my head. I would prefer to get email or desktop notifications for email opens, like MailTrack. Instead, there's a tiny badge on the extension browser icon, which easy to miss. If you're looking for a CRM that integrates with Gmail, Hubspot should be your first stop. None of the CRMs I've tried integrate with Gmail quite so well. The activity feed solves my biggest problem in dealing with clients and leads: having all my interactions and data in one place. Excellent! Thank you for your thorough review, Rick! Glad that HubSpot's integration with Gmail works so well for you. "HubSpot Sales & CRM is such a great tool"
I love that it's easy to setup and use, and very intuitive. I have all the data that I need. Another plus, works well with other programs. Love that it's free and that you're able to expand from that with add-ons so you're not paying for what you may not use. Wish that I could contact support by phone even with a free account. I've used HubSpot in 2 areas of my career. I freelance part time so the email tracking and being able to organize contacts and companies that I communicate with frequently or need to check in with on occasion is great. I also used HubSpot in a time when I was looking for full time work. I tracked my emails to potential employers so that I can followup appropriately by creating tasks. I kept track of my applications using the Deal stages. I definitely stepped up my job hunt game. And on several occasions, my use of HubSpot just for this came up during interviews and it was a great conversation piece about my skills and tenacity. Thank you for your review Tania! I love hearing about how you used HubSpot CRM not only to manage your freelance business but also in your own job searching process. "Gets the job done for what we need! " The ability to organize all of our information in one place without creating duplicates and skewing the data! Creating manageable work loads that are presented in a list to be completed daily opposed to searching through giant lists of customers one by one checking if they need to be contacted. The system predicts needs almost like magic. I think it has really benefitted the way our team works together as well as our productivity overall! Wish there was a texting platform that was easy to merge with the CRM without needing multiple tools. Currently the system requires at least 2 other subscriptions from other brands to be able to integrate texting into the Crm. Texting is a very critical tool in todays world especially with the clients we manage and need to be in contact with daily. organizing clients based on their need and when they need to be contacted. Allows us to manage the clients needs without duplicating contact and being overbearing to the client. We are able to organize the groups of customers into smaller groups based off the needs and wishes of the clients based off of their actions on our website in addition to the history which is easily presented in their profile. Thank you for sharing such a detailed review Taylor. I will share your feedback about integrating with a texting platform with our product team. "Esta pagina es una fenomenal opcion "
Esta pagina web es sin duda alguna una excelentísima opción que debemos siempre tomar en cuenta al momento de crear enlaces, promociones y procesos novedosos en nuestras empresas personales o en las empresas a las que servimos como personal calificado para hacer de ellas mas productivas, de esta pagina definitivamente lo que me gusta mucho mas es la forma en la que podemos compartir información con los demás usuarios de la misma, esto en realidad nos ayuda mucho al momento de solventar situaciones imprevistas. En cada una de las opciones de visita que he podido hacer a esta pagina con la finalidad de encontrar alguna opción bastante amigable y eficiente para solventar problemas en el ramo de ventas me he dado cuenta de que en algunas ocasiones no se encuentran documentos que nos permitan observar y definir procesos a seguir para realizar las soluciones que necesariamente nos obliga a visitar la pagina, puesto que realmente en momentos de tensión en el trabajo se nos escapa algún tramite que nos permita cumplir con nuestra tarea. Como recomendación de manera muy respetuosa y como usuario de esta pagina web podría resaltar el hecho de que se creara alguna espacie de link informativo que permita al usuario saber los momentos en los que la pagina presenta algún tipo de deficiencia en la información que aporta a modo de poder estar al tanto de que la pagina presenta cualquier anormalidad y poder encontrar otra forma de solventar el problema que se nos presente. Hemos podido solventar problemas serios en el área de ventas las cuales han descendido en algunas oportunidades debido a fuertes fallas en los procesos de comercialización de nuestros productos y de publicidad de nuestra empresa, en ese sentido hemos difundido en nuestro personal el proceso de enseñanza y manejo de las herramientas que ofrece esta pagina, lo que nos ha permitido sin duda elevar en un buen porcentaje esos datos que eran deficientes y no favorables a nuestra empresa. "Great potential - poor execution"
What I like is the fact that the marketing team tells me it works well for them. According to them the logic of the workflows is really advanced for email automation. The potential of workflows to automate processes are, in theory, a strength of hubspot(I will touch more on workflows in the next section). There really isn't much I can say I prefer about hubspot versus most of the major CRMs I've used. Pipedrive being my favorite. As of the date of writing this (4/2/19) hubspot experienced some huge outage last week where pretty much everything broke. Emails were not sending, workflows were broke, data was not saving. They've sent multiple apology emails, but their issue ground my team's production to a halt on the last 2 days of the quarter. A huge issue for me is the lack of ability to prioritize tasks. In previous CRMs I would configure my "Task" view to include different fields i.e "deal value" "pipeline stage" "last contacted". Hubspot allows for almost no configuration of a task view. Another aspect of tasks thats frustrating is there is no visual indication of deals needing a task. What i mean is - if an open deal does not have a task then there is an issue. I would hope my CRM would alert me to that. it does not. Tasks in general feels like an oversight, but for me and my team they are the lifeblood of our work. Another weakness is the lack of any visual indication of where a deal is. Previous CRMs have for example turned a deal "red" if a task was overdue and required action. Hubspots view is just white and plain. It's very difficult to differentiate between deals. Regarding workflows - I have found workflows helpful for automating certain functions such as task creation, or moving deal stage automatically. However, almost each of the essential workflows I've set up has at one point or another broken inexplicably. Just works one day, and it's broken the next and I have to remake it. A huge complaint i have is hubspot support's reliance on the "put it in our product idea forum". Every time you point out something they don't do right they tell you to log it in a forum which allows people to upvote. It's a joke to me because they should register customer complaints and action them. not leave it up to their users. Also every time i log anything there I see a dozen other times the same idea is logged. Hubspot needs to log these internally and action them as needed. Make sure you have a dedicated employee whose job it is is to set it up, build data, and build maintain workflows. Especially if you are transitioning from another CRM and have existing data. Workflow automations save clicks and Hubspot unifies our departments. Sales, Support, and Marketing using the same platform has been a benefit. Thank you for your thoughtful feedback! We're very sorry for the impact the outage has had on your business. Thank you for sticking with us - your trust means a lot to us. We're working hard to make sure issues like that never happen again. Your feedback on tasks, deals and workflows will be extremely helpful for our product team - forwarding it to them right away! "The perfect tool for sending out press releases!" Its Chrome extension is great for managing emails, contacts, and more. It has quite a number of blog posts and tutorials showing how to use everything (see below, however). Because of HubSpot, I've had many important contacts message me back, which ended up being essential to the way my business functions. It has so many great features that it's hard to learn them all. Most of the people in my company use only a few of the features it offers. Additionally, though it does have many tutorials and blog posts, it's not as easy to use and setup as it might seem. Try your best to be familiar with every feature it offers to take full advantage of it. It allows me to send out press releases and see when they're opened and by who. This makes it super easy to follow up with companies about their products and vice-versa. Thank you for your thoughtful review. Glad to hear you see success with HubSpot tools. In terms of setting it up and learning how to use HubSpot software, we recognize that for a first-time user it might be a lot to learn. Academy resources (https://academy.hubspot.com/), knowledge base articles (https://help.hubspot.com/) and HubSpot community Q&A forum (https://community.hubspot.com/) are some of the resources that can help. I really like the sleek design, the ease of use, and the way everything is lined up. It's quite easy to make a new contact, set yourself another task, or even make and receive phone calls. I was very apprehensive but was blown away by how simple everything is on this platform. I really appreciate all the little gadgets it has set up and ready for you! Like the emails sequence that send automatically or the templates provided for you. I don't like how long the set-up tasks take. I felt like the platforms itself is designed for people who don't understand technology, so forcing the new user to go step by step through every little thing you could possibly have to do with this application is overkill. It helps to use this along with other applications, such as Slack or some type of instant messaging communication so none of you are accidentally working on the same project/contract/contact at the same time. It helps to divide up the clients and progress between everyone. We have several people on our sales team, and it can be difficult to manage each and every sale, contact, task, and step of each contract sent out. Using this product I was able to streamline everything, keep an eye on each sales consultant, watch the contracts every step of the way, and help everyone throughout any problem shooting they may be doing. Thank you for taking the time to write up your review Amanda, we really appreciate it your feedback! I love the ability to create and monitor reporting on various forms of content such as emails, landing pages and forms, in addition to the automation possibilities and ample ways to learn about contacts and leads. Some of the organization could be better executed for an improved UX. I would also love to see a better reorganization of image files. Finally, the email template builder and editor is quite barebones and sometimes finicky - I'd love to see some improvements made to this, as well. Great product, and integrates well with other platforms such as Salesforce. We use Hubspot to attract, attain, nurture and retain leads. I've personally loved the efficiency it brings in the realm of email marketing. We've been able to both bring in and convert a greater amount of leads, in addition to nurture those skillfully and effectively. In turn, we've generated additional revenue and optimized customer retention. "HubSpot has changed the way I work as a marketer!" Love how user-friendly the interface is. I've worked with other CRM tools such as Marketo that are not as easy to understand and are overall super clunky. I really like that all tools are laid out based on discipline as well. I can't say there's anything I truly dislike about this tool. Sometimes there are bugs, but HubSpot works hard to keep their tool sharp and always running well. If I had to say there's a drawback, I would say that it's in the number of videos you have to watch for certifications. It's best for smaller companies, but quickly working its way into enterprise-level use. Make sure you review all of the content they provide. We're working to improve client ROI through the use of the HubSpot CRM and tools such as Marketing and Sales Pro. This allows us to achieve their business goals quickly while also providing a way for them to manage their customer relationships. "HubSpot CRM offers measurable resources to track and grow our chemical company"
Between the team of customer success managers and support helpline to the litany of learning center courses, I have never had an issue that has not been addressed quickly, sufficiently and politely. The design elements offered through landing pages and forms has transformed our website. The landing pages make it easy to design and we have been able to boost our social media efforts and expand our reach worldwide. The app has some major issues including viewable properties and how to import. The setup of the app is extremely basic. Also, there is no way to have a team forum within HubSpot to leave notes and tasks without assigning it within a customer property. It would be nice to be able to exchange notes back and forth within the software. Does not transport information from Apple contacts. Can't use email on phone to track and receive invoices unless I am logged into HubSpot to send and receive emails. Calendar function. Not ideal if you rely on phone applications over your desktop. Eliminating the need for travel by offering the ability to reach people through video. Our website is more measurable and higher level user experience by attracting customers to our site through social media and email, delighting them with free and gated resources and educational content and measurable analytics that inspire us to create more focused content. "Simple but detailed introduction for today's inbound sales"
Hubspot academy, email tracking all in one package for marketing automation and sales hacking. The video tutorials and hubspot certificates is an easy and gamified way to learn the basics and more advanced inbound marketing and sales. Minor integration issues/bugs not that much to complain about really. Some minor bugs with email tracking notifications that get pinged by own opens in the email tracker. One problem that did occur with hubspot marketing software was the amount of email and not interesting email that i did receive. Some blog posts and information that I received was helpful but sometimes it felt as if the company just sent me too much information that was not relevant to my interests. Reviewing of products and such. You can try the free version first and upgrade as you progress in skill. Contact management, sales prognosis, highly functional tool in turning leads into revenue. Before using hubspot our leads were simply falling in between the funnel but marketing automation has helped us create a flywheel that helps website visitors turn into sales. I can recommend hubspot to anyone who is ready to take the next step towards modern inbound marketing and sales. "HubSpot CRM is a time saver"
The contact view is amazing and I love being able to see all the relevant activity for a contact in one easy snapshot. HubSpot CRM makes it very easy to prepare for calls. From a sales perspective, it's the best CRM I've ever worked out of. HubSpot CRM has set the bar for what my expectations are out of a CRM. The defaults could use some attention. Because of how dynamic the records are, you can find yourself spending more time than you think getting your custom view set up how you need it. Once it's set though, you're off to the races. Give it a try!! I truly believe that once people see what this CRM can do, and how easily it is to configure, they won't turn back. HubSpot CRM saves me time and enables me to be more productive in my conversations. It helps me quickly and easily communicate pertinent information across teams in our organization and keep everyone aligned. "Powerful CRM for SME's "
As a new user to CRM systems, HubSpot Academy made it really easy for me to learn how to make best use of the system and start getting the most out of the CRM from day one. The gmail extension makes it easy to track and log all my emails even when I'm not working within HubSpot directly. As a CRM newbie I sometimes find the amount of options and settings a bit overwhelming - as good as the Academy is at teaching new users the basics, there are a lot of advanced areas that I don't think I'm getting the most out of as I don't fully understand their functionality. I also sometimes find the templates difficult to setup properly. I have found the HubSpot CRM system to be really easy to use for it's core functionality and certainly see the benefits within my role in as a Sales Executive. It helps me to keep track of potential sales, follow up with existing and potential clients, and makes my life easier in tracking my daily activities through gmail extensions and direct connections with my mobile phone. HubSpot helps me make sure that I am following up with our clients in a timely fashion - being able to set tasks and reminders makes sure that I don't ever forget to follow up. I also have seen benefits from the reports and dashboard features - these allow me to track my own activity across a defined time frame, and then use the reports from my colleagues to benchmark myself against. CRM is user friendly, training is made available for free and the support functionality is great, you can file a ticket with any questions chat to a support team member or ask they community. nothing is too hard or too complicated and Hubspot team is always available to help. The ability to provide the sales teams with leads and them to be able to see all the relationship built with that customer/lead from the timeline. also the ability to book meetings by sending your diary to a client and they can pick whatever day/hour works best for them avoiding the need to go back and forward a variety of times to find a date/hour that works for both. nothing in particular, sometimes can be a bit overwhelming as it there are so mainy training courses available and there are so many elements to the CRM. Its also a bit frustrating when sometimes it takes hours to get through to ther support, but you can always log a ticket and they will go back to you. Lack of alignment between Sales and Marketing. It has allowed us to align sales and marketing and make it more clear to the team what each team is doing and how we are all working torwards a goal. 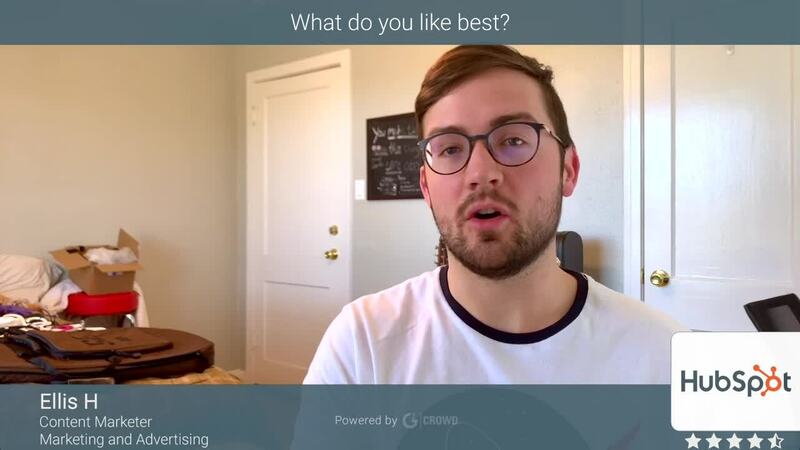 The marketing section is great including automations, socials, analytics, and you can cross reference the marketing analytics with the sales data and understand your conversion better. "REAL REVIEW OF THE NIGHTMARE THAT IS HUBSPOT"
This tool is clearly not built with sales professionals in mind, couple this with the absolutely terrible customer service provided by Hubspot and you can see where this is going. - Customer/company pages do not provide the information you need quickly. - Lack of ability to pull email addresses for mail merges. Thank you for your review, Josh! So sorry to hear that you're having a suboptimal experience with our tools. I'm passing your feedback on to our product team to see if they have any updates on contact associations. We'd love to see how we could improve your experience with HubSpot - let us know how we could get in touch with you. Feel free to email me at eugenia@hubspot.com - we'd love to help! "Best CRM I've worked with!" I love that HubSpot allows my company to combine our marketing and sales efforts into one easy place. The software makes it so easy to track changes, create workflows, and relay information to our team and our customers in an extremely streamlined way! I have used many other types of CRM and HubSpot puts them all to shame. The custom dashboards and ability to view so many different reports and activity make my job so much easier. I also love the trainings offered to help us create better content and utilize the software to the full extent. Sometimes I feel like the software has so many capabilities it is hard to know where to get started. Luckily HubSpot Onboarding does help minimize the overwhelmed feeling - but there's a lot to choose from when picking where to begin! Don't wait - the staff is so helpful that it makes switching to a new software so easy! And they'll talk you through how to get started. There are tons of resources available from HubSpot - they are the experts about CRM. The ease of viewing reports makes it simple to see where we can make adjustments or create automations/workflows to improve our business. We have also seen how we can adjust our content to ensure our marketing and sales are aligned to improve the business. "Great overall system - Obtainable for Small Businesses"
The customer service. The people of Hubspot are extremely pleasant and strive to make sure your needs are fulfilled, within reason. As well, the community is fun and encourages growth and education. I feel like the fact they are still a smaller company shows sometime in their development and how they handle certain aspects of their product. There are definitely places where Hubspot as a product can improve, but at the end of the day, what product couldn't? As well, they do not seem to have data cleanliness standards at all for users - they don't even have a formatting rule for phone numbers for instance. Try it out! They do free trials of the software. It is super easy to use, so just jump right in. If you are still having trouble, there are lots of tutorial videos for free on their site and youtube. We are solving lead processing and certain parts of marketing outreach. The benefits are that it is 1/5 or less the cost of an equivalent Salesforce implementation for a company my size, and we get everything we need - but basically no customization/configuration capabilities. That is not a bad thing par-se, but it occasionally makes tasks difficult. "Solid CRM with limitless possibilities"
The HubSpot CRM is easy to configure for a wide variety of company models and industries, and makes it possible to organize, coordinate, and track business growth efforts based on the people you serve. The wider HubSpot platform then utilizes this information in a ton of helpful and creative ways to automate marketing, forecast revenue, track ROI, etc. making it an indispensable aspect of your business. While the CRM itself is free, you can't truly unlock its potential without purchasing another part of the HubSpot Growth Stack, which can be pricy for smaller companies. If your implementation and adoption goes well, it's almost certainly worth it, but it can be hard to get such a flexible and configurable platform up and running. Work with an agency to implement the HubSpot CRM. They know the ins and outs of the platform, and will be able to configure it to your specific use case, whether you think it's basic or too complex to understand. There will be something they can do to make your life easier, and therefore make your implementation more successful. As an agency, my company works with other companies to leverage HubSpot for business growth. The CRM is almost always an integral part of our efforts because it allows us to track our efforts and improve month-over-month, as well as streamlining email marketing campaigns, social media management, lead generation and nurturing, sales forecasting, and much, much more. The ability to prove our value through revenue that is linked directly to our work is invaluable, and it makes everyone happier overall. Es muy adaptable al gusto las opciones que tienen en la cartera de productos disponibles a los usuarios que utilizan esta pagina para poder lograr un avance en los ámbitos de labores que desempeñan, cada uno de los visitantes tiene la opción de utilizar estas herramientas novedosas observan que dichas herramientas permiten un manejo diferente del marketing tradicional y renuevan las opciones de adaptación al mercado actual, y en definitiva esa es la característica que mas me gusta de la pagina. La pagina no presenta ningún renglón que hasta ahora me cause algún síntoma que presuma disgusto alguno, no encuentro hasta el momento del uso de la misma, elemento resaltaste en escala alta o baja que pueda ser objeto de critica dirigida a nombrar rangos de evaluación negativo o desfavorable a la forma de como se encuentra planteado el sistema de trabajo y la manera como presentan su producto a los usuarios. Esto podría ser desde mi perspectiva que en conclusión no encuentro ningún renglón objeto de disgusto para el usuario de esta pagina web. Recomiendo que se realice un proceso de masificación de la información de este producto para el área de latinoamérica, ya que en los países latinos en la mayor de las ocasiones no tienen un buen avance del sistema de mercadeo de sus productos, en mayor proporción las empresas de pequeña y mediana escala, que sin duda alguna necesitan que esta herramienta les sirva para proporcionarse de un impulso realmente significativo, y que este se traduzca en mejoras individuales como empresa y de sus regiones cercanas. Hemos resuelto problemas resultantes de manejo de ventas de nuestros productos y mejoras en la manera de captar nuevos clientes para mejorar los procesos de compra-venta en nuestras diversas formas de mercadeo, nuestros trabajadores también han tenido un mejor desempeño en la manera de manejar las formas de trabajo y de captación de nuevos clientes, esto se lo podemos atribuir a la forma en que esta pagina ofrece su producto y el sistema de presentación del mismo, el cual es muy proporcionador de buenos resultados. "Revenue increase through customized Hubspot "
Its a best software where hubspot works like a personalized secretary to remind me everything and each movement of my sales prospects. It make me to understand clearly about the buyer person. Converting of sale through hubspot is really easy and sales cycle and stage is very fast through customization mode. I like and recommended this software for all the new and developed companies to increase their sale count and also revenue through hubspot. Each day they will provide the new learnings also. Email template alignment is not properly working. If its rectified which will be really useful. Because we are not able to insert the pictures in the mailer template which is making us to go back to gmail for inserting images. I hope hubspot will incorporate the same shortly. Its a best software to increase the revenue for the business through inbound strategy. Content writing technique is best way to increase the sale. We are dealing with sales and marketing. We are using the hubspot for past 1 year which really helped our business and increased our revenue and decreased our sales cycle duration. Which is also helping all our team members to use it effectively. "I get excited everytime i learn something new!" Hubspot is a strramlined, simple CRM that does not create overwhelm like many others over seen. It lays out all my information for me nicely, and allows me to customize how and what i want to see. It makes my life so much easier! Working in the sales industry is stressful enough, having a CRM that has my back really helps my day go smoothly. My dashboard shows me customizable reports, with the information that's important to me, in the form that i prefer to see it. I keep learning about new features that make me excited. (And impatient for my company to let us use all the tools available lol) I love the mobile app as well as the web page. The app will pull up my contacts when the call my phone, and take me ro a screen to leave notes or log my call when it's completed; way more than i expected from the app. It always provides clear information, which can often be lost when things are smashed into a mobile view. I almost prefer to look my deals up on my phone, than the web! I've worked in many CRMs, and Hubspot is my favorite so far. It is easy to close a task and forget to make a new one, which can lead to losing track of customers. If i master sequences, i believe i could eliminate a lot of this though. This bad boy is keeping me organized! Which let me tell you, is no easy task. "Powerful Tool with Great Resources"
Hubspot has truly made a robust tool. Not only is it capable of so much but the learning and support resources take it up a notch. There are certificates you can earn, quick courses you can take, and a community help forum. This means whatever your question is, it can get answered very quickly. The actual platform is a great way to stay organized and execute a strategy. You pay a pretty penny for all of these features. There are cheaper options out there if you're a smaller company and don't need the more in-depth capabilities. Some of the analytics features are limited, it would be nice to get even more insight from social media. Like what days/times you perform the best/ insights into competitors posting performance. It's worth the price tag if you need a quick way to organize your information and stay in touch with contacts via automation. Keeps all contacts organized in one place, automating processes to save time, tracking campaign success, monitoring important marketing metrics, and more. Customized analytics dashboards are a great tool for presenting to management/the board, no more time crunching numbers in spreadsheets! The Sales Extension feature could be more accurate as it doesn't always tell you when someone has opened an email (more time it does) and also the chatbot is designed to be set automatically, if you want it on at certain times i.e the weekend you would have to manually turn it on the friday and turn it back off on the monday. Use the free trial and have a go! Any questions, either find a HubSpot Partner Agency or go direct and get the help you need! It's an all-in-one system, it's efficient, saves time (which is brilliant for sales teams), it's very user-friendly. "Hubspot CRM review, the CRM platform that benefits you"
The biggest benefit that hubspot provides to our company is the organization and control we have with current clients and past clients, it is a great tool for inbound marketing, since it automates many tasks that require a lot of time this translates into more deals and less time in data entry, the interaction takes place automatically and allows us to save the clients' data without expiration time. HubSpot is an all-around amazing tool, but what I like most about it is its automation capabilities. It's a lot of work to start, but once you set everything up, it saves you a ton of time. It's also incredibly intuitive. For instance, I have no background in computer programming, but I was able to program a chat bot for my company's website. Likewise, I have no design skills whatsoever, but HubSpot makes it easy to make professional-looking emails and landing pages with its drag-and-drop editor. It essentially provides you with all of the tools you need to be an effective marketer, even if you don't possess all of the skills. 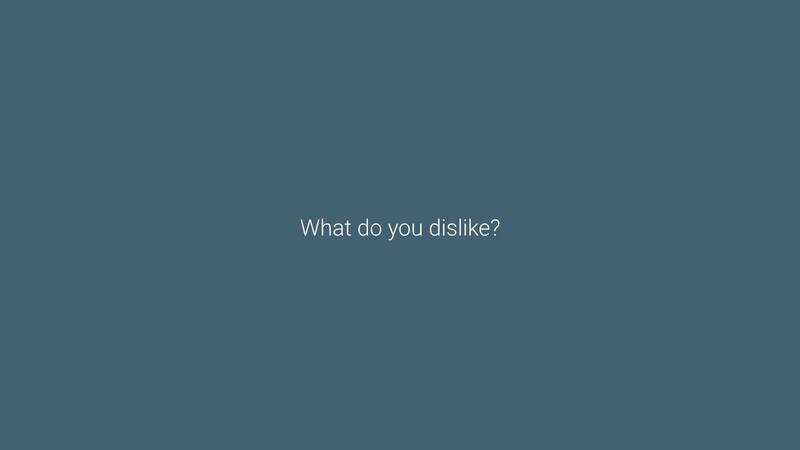 There are very few things I dislike. One that comes to mind is that you can't choose "email response" as a parameter to unenroll contacts from workflows. This would be very helpful seeing that most of our customers respond directly to our reps when we send emails. I would leverage HubSpot Academy. HubSpot does a great job creating videos on how to get the most out of its products. Take advantage of them. We are now able to track where leads are coming from and if they are converting to sales or not. It has helped us determine what we need to be doing as marketers to better fill the funnel with quality leads. In just over a year and a half, we have exponential increased the amount of leads we are generating, and the number keeps on growing. Thank you for your review, Adam. So excited that you're happy with HubSpot! Really appreciate your feedback on the workflows - I'll share it with the product team to see if they have any updates on this feature. "HubSpot CRM is user-friendly, but limited"
Pulling information out of the system is very easy - both in terms of zeroing in on where the information is stored as well as in terms of exporting data to spreadsheets for further processing. The free version of the CRM (without the "Reporting Add-on" or "Sales Hub") is so limited as to be essentially useless for any business operating at or building toward scale. List building is considerably easier across contact record dimensions than "report" building is across company record dimensions. Default properties cannot be edited and custom properties are not afforded all the same filtering options. For example, if I wanted to better understand my lead pipeline, I might want to introduce another stage between opportunity and customer, say for "pilots". This is not an option for the default Lifecycle property. And if you build a custom lifecycle property to include pilots, you will not be able to configure a report for this property with a funnel-type visualization, you will not be able to set the order of display for the stages of this custom property in your reports (so you'll see first SQLs then Customers, then Pilots, then MQLs, for example, removing much of the visual value of the report), and you will not be able to build reports based on when your leads entered each lifecycle stage. Of course, the Lifecycle property is just an example, but these reporting limitations and others extend to all default and custom properties, respectively. There are some other ways in which the CRM data becomes a little messy. For example, there is no way to exclude partners or target partners from the normal lifecycle stages. Unless you're paying for the Enterprise package, the CRM is also limited in the workflows allowed. For example, you cannot build workflows to send any emails - internal or external. The fact that there are no built-in region-based reporting or list creation filters makes the system needlessly more difficult to use. The main advantage of the HubSpot CRM is that exists within an integrated business management ecosystem. This makes it easy to align and streamline a wide range of business activities in service of a common cause. Between HubSpot's sales tools, it's social media tools, it's email marketing tools, it's hosting and building tools, it's content management tools, it's analytics tools, a native CRM just makes sense. Ilan, thank you for your thorough review. I'll share it with our product team to see if they have any updates on the features that you mention. If you have any other comments or questions feel free to respond here or email me at eugenia@hubspot.com. "HubSpotCRM A great tool for your business"
"I love my job more because they use Hubspot"
I love the email templates and sequences as well as the reports that go along with them. Being able to see and get notified immediately of any activity on my emails is fantastic and helps me know what's working and what needs changes to be effective in my email campaigns. The built in suggestions are very helpful too and the meeting links top it all off. The one thing I can say I don't love is the method used importing contacts from zoominfo. The default info it uses to fill out the contact details causes a lot of clean up with coworkers who don't go in and change the fields we use. That just takes a little extra training on our part though. Worth every penny and more. Try it for a month and you'll never want to go back to anything else. I've used a few other programs like salesforce and they all had they're good points and benefits but Hubspot takes all of them and rolls it into one piece of software. I am using it as a business development rep, and it has been wonderful for helping keep contacts ordered, knowing who each contact will be passed off to in sales, all the details on how and when it's been contacted. It keeps things much more streamlined so I spend more time contacting new leads and less time trying to figure out what exactly is going on with that lead that hasn't responded in a month. "Best CRM I've used to date!" HubSpot keeps my contacts and leads all in one place that is easy to manage. It's really convenient to be able to see where each one is at in the sales process. I love that it keeps track of all the communication back and forth between the parties. There is a bit of a learning curve involved when compared to other CRM programs. But I will say that HubSpot does significantly more than those other CRM's too. 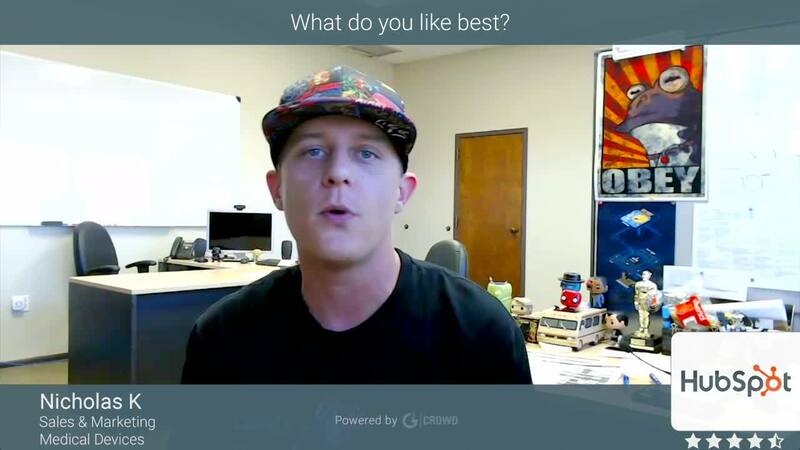 I've used Boomtown and Commissions Inc. as CRM's and neither one of them come close to the robust services offered by HubSpot. From the backend management of website integration to the day to day use of the CRM itself, HubSpot truly is a one stop shop to managing and communicating with all your contacts consistently. They have thought through all the details for you and give you the ability to create your own workflows and sales processes to suit your specific needs. Using HubSpot allows you to focus more on what matters the most....building new relationships with new clients. Take it from someone who's "been there and done that". You will not regret partnering with HubSpot for all your customer relationship building needs. I took the plunge and never looked back! Connecting more quickly and effectively with potential leads and streamlining the communication process. The quicker we can get to the lead the more opportunity we have to convert them into a client. "Ambitious, but ultimately lacking in most critical areas that you take for granted in other CRMs"
HubSpot is first and foremost an inbound, lead-driven marketing automation system, and that's what it does best. Running email campaigns, automating first touches and demo reach-outs, and using task lists to jump around the CRM and complete work efficiently are what it does with ease. There are also many integrations like ZoomInfo and PandaDoc that hook in with just a few clicks, which is fantastic. Many of the things that work well in HubSpot are not unique to HubSpot and are a given in almost any CRM. You cannot standardize the view people have. For instance, we don't use the Service hub or Products module but I can't turn off or reorganize how it will appear on people's screens. You have no idea how many times I've gotten questions about what the Products or Service module is for or how to hide them. - If you create a Deal that is not in the first stage and skip to the third sales stage where you normally have required fields, it will not ask you for the fields you set as a requirement. This results in many records not having complete information until it is moved into the next stage. If a deal is created in the Closed Won stage, we may not notice it is missing information until a very critical point in implementation. - You cannot carry over data from parent or child companies into fields to have information roll-up or down for quick reference. -Access to calculated fields requires you spend at their top tier for Sales, when in other CRMs it is usually a basic feature. -The Products module is essentially useless process-wise. While it does have interesting customization options, when a salesperson is creating a Deal it does not give a pop-up for you to customize the product's terms, pricing, discounts, etc. even though the menu itself exists. This creates a lot of extra steps that confuse users and results in incomplete data. We have opted to use our own set of custom fields instead of their entire pricing module because of how inconvenient and unintuitive it is for users who are not as tech-savvy. -Nonexistent accountability for users. You cannot report on fields that have been edited, you can't see salesperson activity out past a few days because of the limited scope of the activity reporting, you can't click on an individual user to see what they have done in the system or if they have even logged in at all. -Making more than 2 dashboards costs $200/month. -Report customization is very wonky... you must first find a report you want yours to look like and then customize it. There are several times where I have tried to recreate a pre-built report using the standard report building tool and it was not possible. I had to clone the existing report and edit it from there instead. -Lots of bugs. There was a week where adding a specific field to a report would give me an error and close out the entire reporting tool. Another time the colors in the legend didn't match the colors in the report which confused our executives. No matter what I did I could not fix how the graph was displayed until a patch came out a month later. -To make up for the many shortcomings of HubSpot reporting, we bought a connector from Bayard Bradford so we could pull HubSpot data into Microsoft Power BI (like Tableau). This enabled us to report on a multitude of things (tasks, activities, email content) that aren't even accessible in HubSpots standard interface, but was yet another unexpected cost when purchasing HubSpot. -You cannot import parent-child relationships, which are extremely important in the industries we target. This results in us having to MANUALLY associate thousands of records. -Import errors: If there is an import that fails or partially fails, you can't revert the entire import and start from scratch. It imports the things that work and skips what doesn't. The error file it spits out is hard to interpret and act upon. -We purchased a migration service to import Salesforce data over to HubSpot. Not only was the import a mess, it created duplicate user profiles that even I as a super admin could not delete. I had to contact support who had to make a custom tool (this took weeks) to remove the duplicate accounts so reporting and assigning accounts would work correctly. HubSpot is extremely barebones when it comes to sales and I would not recommend it to anyone for sales purposes. I plan on switching away from HubSpot as soon as budget allows. If you just need the marketing portion, then it may be for you, but steer clear of using HubSpot for any sales functions or as a prospect or client database, especially if your target vertical has a lot of parent/child hierarchies to keep track of. If you only need marketing automation, HubSpot is a great tool for email campaigns, templates, and automating first touches. Otherwise, I would bite the bullet and find more money in your budget for Salesforce, or go to Zoho or SugarCRM which are not as pretty but are infinitely more functional and organized. On the bright side, HubSpot has enough functionality to be passable. You can track pipeline, manage marketing campaigns, send emails, and track things, however in a limited way. The user interface is pretty easy for users to learn and understand and the email app is nice if you turn off auto-logging. Thank you for your feedback, Miles! Sorry to hear that our CRM software currently doesn't meet your needs - we're constantly working on improving it and feedback like yours helps a lot. If you have other comments or questions feel free to email me at eugenia@hubspot.com. Hubspot does it all for us. It captures and organizes leads. It easily allows us to update forms. We retarget users with newsletter and social content. Tracking is easily implemented with just a "click" on owned pages. Lead scoring helps rate MQLs and SQLs. You can easily hand off ownership of contacts between core teams. I wish my client had more use for these features, because they really would impact banker relations. It can be glitchy and not save data at times. Confusing updates to form categories. It's especially problematic when we send a test to clients and see that edits didn't save, makes us look bad. Additionally, we wish there was more ability to connect on site metrics for sites NOT hosted with Hubspot. AKA, using GA data and Hubspot data better connected. Also, we need better API access for connectors like Origami Logic for reporting. Start with your business objectives first. What's your goal? Then, work with your Hubspot rep to better understand how Hubspot can fill those needs. Additionally, I'd highly recommend fully integrating your site to hubspot versus just using lead capture widget. You'll be limited in capabilities unless you use the full suite. Lead Generation. Ease of connecting lead lists with newsletter distribution. In the future, we'd like to integrate paid campaigns into the system to better ensure our core audiences are targeted in all mediums. We will be able to do even more in the future now that we've built our "use case". HubSpot is a user-friendly, one-stop-shop for inbound marketing. It has everything I need to efficiently keep track of our contact base, know where our clients ("deals") are in our sales pipeline, design and send emails, and much more. The best part about HubSpot is that it is constantly improving its functionality for an even better user experience. The customer support is also A+, and I can constantly keep learning and improving my marketing practices by taking HubSpot Academy courses. I can't hype HubSpot up enough. My least favorite part about HubSpot is its analytics and reports. I find the reports/analytics tools section of HubSpot difficult to navigate and limited in its data collection. I wish there was a course within HubSpot Academy to learn more about how to most effectively use its reports and analytics features. This is really the only downside I can see when using HubSpot. HubSpot is an amazing marketing tool. Between the amount of tools that HubSpot offers, the amazing customer support, and the constantly evolving platform, I can honstly say that I would recommend it to anyone. HubSpot allows my business to efficiently keep track of our contact base, easily know where clients are in the sales process by looking at the "Deals" pipelines, identify areas for improvement in our sales process by analyzing the "Deals" pipelines, and easily distribute information to current and potential clients via newsletters/other mass emails. "HubSpot Is A Firehose of Usefulness For Your Marketing!" HubSpot does a tremendous job compiling every useful tool for your marketing into one place. It's the hub for everything we do from website additions/changes to email marketing and blogging. I love how user-friendly it is and it's the little details that make a huge difference. At times in the design manager, it can be difficult to make the changes I want to. I'm sure most things can be contributed to my lack of web development knowledge. But I think the "ease of use" for website building is exaggerated slightly. Before committing, decide if it actually makes sense for your company. When you first unlock the portal, you can feel overwhelmed with all the features. But HubSpot does a good job during the onboarding process to get you acquainted with everything. Our company has never had an active marketing plan. With HubSpot, we've been able to create an actionable plan by combining blogging, email marketing, sales funnels, and more. It's been tremendous in gaining viable results. I love that everything I used to have a separate program for is contained under one roof. Being able to use and view analytics for all my marketing tools in one place has been fantastic and very useful. Everything just works, and works well. The Hubspot team is uber supportive and I feel like I've found a solution that will support and grow with our company. I was against Hubspot at first because I believed there were similar programs out there for much cheaper, but after using it I'm convinced this was the best solution. The only thing I can think of is that there isn't internal ad support and tracking for LinkedIn anymore! I know it used to be a feature and I hope they bring it back as LinkedIn is important for our B2B advertising strategy. Once you decide you need more than Hubspot's free features, the investment is quite steep. It can be prohibitively expensive for some companies, especially smaller ones without much of a budget. There are tons of free or cheap tools that can do what Hubspot's can. However, doing that in the past we got tired of piecing together different tools and having disparate analytics that took a lot of time to gather insights from. The value that we get from having all our tools and data in one place makes the price worth it, along with their awesome support and training + modern interface. "My experience with Hubspot has been above and beyond compared to other CRMs!" Hubspot is super user-friendly and even it's advanced features are easy to learn. They always offer extra help through their support team, tutorial videos, blog posts and even in-person meetups. It feels like you're apart of a good community. Sometimes the support team assumes Hubspot can do certain things when in reality, they may not have that feature. They point you to tutorials and blog posts they thing cover the specific need and it's incorrect, leading you to have to ask them for help again. Make sure to give yourself adequate time to set it up. It's so much more useful when you stay organized in the onboarding process. Don't switch CRMs during a busy season. It helps us track progress/analytics/contacts so easily! We don't have to constantly check in for it to be useful. It does a lot of work while we focus on other aspects of the business. "Hubspot is a great online marketing tool and the best for sellers"
I like the automation provided by the use of Hubspot, it allows me to obtain and materialize the potential clients that come from our website, youtube channel and our informative blog, it is ideal to boost sales through email marketing, I can adapt it to my needs as a company and schedule emerging forms. It is in continuous evolution and that speaks very well of the software aside that its support of customer service is of great quality and gives high priority to its customers (at least in my case it is like that). 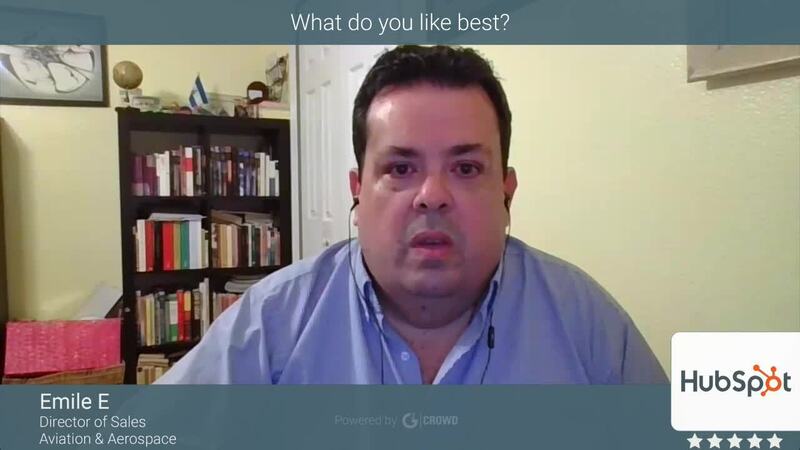 "It is a userfriendly software"
It is very easy tool to work for sales people, Its a best software where hubspot works like a personalized secretary to remind me everything and each movement of my sales prospects. It make me to understand clearly about the buyer person. Converting of sale through hubspot is really easy and sales cycle and stage is very fast through customization mode.I like the flexibility of properties and the linking/tracking options. While there are definitely limitations that are frustrating, I do find it very user-friendly and relatively powerful. It's moved us forward in a big way in terms of tracking and attributing leads, tagging and categorizing clients, etc. And the sequencing feature is a BIG time save. Possibly the single most useful thing. Their social collaboration has been excellent as they support a lot of 3rd party apps to be integrated within the tool. Editing on a deal-by-deal basis is a bit more tedious as the insights aren't as detailed. We also have constant issues with load-times for making updates on deals. We do business to business sales and we use this for the best clients only,we use this software to track clients and organize sales records. Benefits would be making followup easier for us. As we mail 100 email per week (proposals). So it helps in making another following up email easier.Tracking all of the deals that are prospecting deals and not in my work system as clients. Plus I can set up reminders to reach out to people and that's something that typically clutters up my calendar and doesn't really belong there.The business problem we are solving mainly generation of leads through various sources for example like a lead or prospect directly visits a site we can generate a lead by gathering the information such as mail-id, name and phone number. The benefits is closing of a sale has became now easier as we can prioritize the prospect and we can focus on particular prospect and the sale is happening. "Hubspot for tracking and automation"
I like the flexibility of properties and the linking/tracking options. While there are definitely limitations that are frustrating, I do find it very user-friendly and relatively powerful. It's moved us forward in a big way in terms of tracking and attributing leads, tagging and categorizing clients, etc. And the sequencing feature is a BIG time save. Possibly the single most useful thing. I don't like that I can't make changes to deals from within the gmail sidebar, and that I have to wait for a new tab to load every time I want to make a small change like updated deal stage or something. It's a bummer because so much of what I like about Hubspot is the time it saves me, but then I lose time again because there's so much loading/waiting happening. It's not great a de-duping, but they've improved that recently by letting you merge contacts at least. Definitely worth exploring! But you need to pay a lot to really get good use out of its power. I wish we were one subscription level up, but it's waaaay too expensive for us. automation of sales followups process is HUGE. saving me lots of time and catching lots of people that used to slip through the cracks. tracking and analyzing deals and client leads is way better with the reporting and sales analytics features. Incredible customer service. They train your whole team and provide monthly touch points. Next level client relations. It's a simple interface with a lot of helpful functionality. I feel like I can really gauge what the rest of my team is doing and keep tabs on the pipeline. There seem to be a decent amount of glitches on a regular basis. I feel like I have to ask questions quite often, and I'm a tech savvy person so it's not just me. I also have to login a lot because I get booted out of the system. I don't know how this would work for very large sales teams, but for our SMB and smaller sales team, it's perfect. I would definitely recommend a demo and taking the time to weigh your options, but this is a really stellar CRM with a lot of important functionality. It's a major time saver because I don't have to ask people where they're at with certain accounts, why certain people aren't moving along in the pipeline, etc. There's no need for back and forth communication within the team, it's all in HubSpot. "Very Intuitive and easy to use - Look more into integration"
The drag and drop pipeline, easy of use, app access and overall thought process as a sales rep is clearly thought out and makes sense. This was clearly designed from a salesperson perspective which is very nice to see. If I could use this as a template for what my company is developing I would be very happy. Look at your ability for this to work with whatever your current system is at work if you're using it alone. My company doesn't have a CRM so that's why this works for me, I would tread carefully before you buy because you need to make sure it all works with what you have. The other issue is the support is an awful forum which is so frustrating when you need an answer to a question. Tracking all of the deals that are prospecting deals and not in my work system as clients. Plus I can set up reminders to reach out to people and that's something that typically clutters up my calendar and doesn't really belong there. 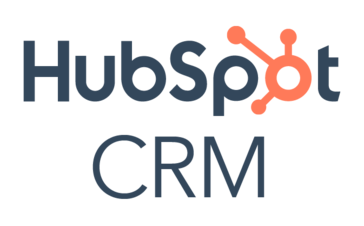 "Very Powerful and Intuitive Free Option"
HubSpot's free CRM is great for tracking potential, current, and past customers. The system is easy to set up and use even for less tech-savvy users. Custom fields and form integrations make this system more robust but even out of the box this can easily track contacts. HubSpot support is typically responsive but, their online support website has most of the answers to common issues and configurations. The free CRM system is a nice feature but an obvious sale for other HubSpot products. The reporting inside HubSpot is not particularly useful. If tracking pipelines or number of contacts, you will need more tools integrated. Make the most out of the free version to determine if HubSpot is the right product for you. Then, consider expanding to other HubSpot products to make communicating with contacts more seamless. Easily tacking contacts and sorting contacts based on contact properties. We have used this system to better understand and communicate with contacts in all stages of the buying cycle. "Does everything I need for a low price, great customer support and easy email marketing." I can start up to 150 email sequences per day with up to 5 emails to be sent over a period of time I determine. It uses templates or each email, and they can be customized for each customer. They look and feel like personalized emails to the prospects I am sending them too. I can see the moment they are opened and track them as a group, individually or against other period of time for my performance. I haven't figured out the best way to sort to go after prospects in my database that I haven't hit in a certain time period. This is probably something I can call customer support about though. Honestly I am reaching to find something I don't like about it. I pay for this on my own because it is so good. I would use this unless my work forced another option on me, and then I may still use this. I only pay $50 per month as a single user, and I feel it is a great deal. Making multiple reach-outs to prospects with very little effort. Tracking my prospecting performance week to week. Seeing when my emails are opened and making timely calls, which the software records, to follow up. Can add fields that pertain to me and my industry for clients and searches. * We monitor all HubSpot CRM reviews to prevent fraudulent reviews and keep review quality high. We do not post reviews by company employees or direct competitors. Validated reviews require the user to submit a screenshot of the product containing their user ID, in order to verify a user is an actual user of the product. Hi there! Are you looking to implement a solution like HubSpot CRM?